Do you yearn to relive the past on your next vacation? 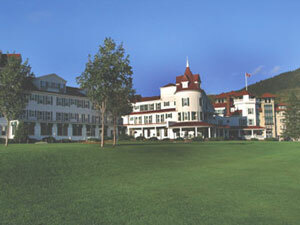 If so, consider traveling back in time to one of New Hampshire?s last four remaining grand hotels. If you enjoy adventure travel, then drive far up north to discover a hotel with more than 15,000 acres for you to explore all year round. For all you history buffs with a penchant for luxury travel (including a few spa treatments), pamper yourself at this hotel where the term "mountain view" couldn?t be more appropriate. Or, if you're planning a family vacation, consider a stay at this hotel where the all-ages activities are plentiful both day and night, and the wonderful historical decor is present at every turn. Lastly, for those of you who prefer luxury travel by the sea, check out this fabulous waterside hotel with newly-renovated accommodations and a location close to Portsmouth, a classic New England town with fabulous restaurants, dining, and entertainment.